In the debate between Satellite TV vs Cable TV, the winner totally depends on your particular circumstances. Click here to learn the best options. Cost is the primary consideration when deciding on whether to go with satellite or cable television. Both of these two options will present the consumer with a variety of different price points. Choose only the package and features you need. For instance, digital cable and full satellite packages might offer numerous channels, but pay close attention when a sales representative tries to overwhelm you with programming choices. Many of these are channels you don’t need. Pick a package that fits the type of programming that you’re actually looking for. Terrain and coverage choices make it difficult for some people to get affordable cable packages based on where they live. In these areas, satellite TV might be the only option that really makes sense. Those who live in motorhomes and travel around quite a bit as a result will probably also want to opt for a satellite system. Satellite systems can be quite portable. That being said, those who live in urban or suburban areas are probably inundated with the vast number of choices that they have when it comes to deciding on a cable provider. While satellite certainly wins when it comes to portability and availability, since anyone with a clear view of the southern skies should be able to get satellite television, cable wins in the reliability department. Bad weather and certain other meteorological or geological events can make it frustrating to get a satellite signal. Traditional cable TV, as well as IP television services offered by telephone providers, features lines buried inside of pipes, which make it easier to keep a quality signal even when the weather is bad. This is very important for those who live in particularly rainy areas as well as those who can’t stand to see the signal ever go out. 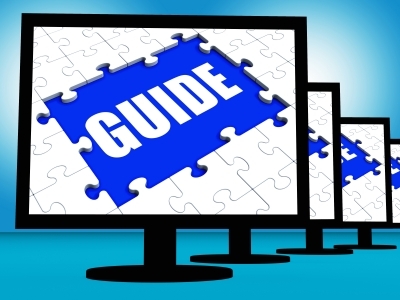 If you are looking for cable or satellite TV provider available in your area you can visit TVprovidersguide.com to compare plans, price and offers provided and find best service provider for your needs and budget. Previous Article← What is the difference between a router and a modem?